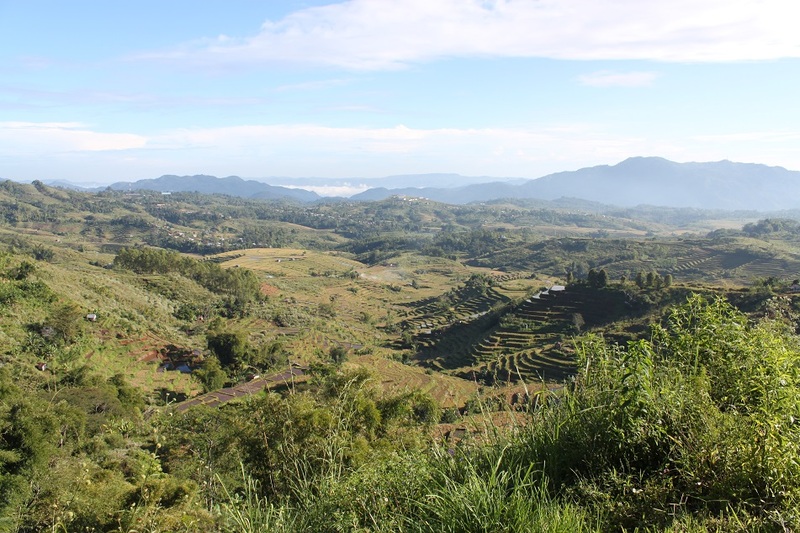 Manggarai: Life in The Land of Abundance | What an Amazing World! Amid the woods just outside the town of Ruteng in western Flores, a village was hidden from plain sight where dirt trails provided the sole telltale of a settlement behind the trees. Children were playing at the village entrance as we drew closer and walked down a path leading to the central courtyard with an elevated circular ground on which a dadap tree (Erythrina variegata) grew. Two large traditional houses stood across the point where we entered the village, capped by conical roofs made from alang-alang – dried reed. We were at Ruteng Pu’u, the oldest village in the area and the forerunner of the modern-day Ruteng. A closer inspection to one of the traditional houses revealed typical scenes of a Florenese village: dried coffee beans spread out on a tampah – wide basket made from dried bamboo – in front of the house, while dried fish hanging from a wooden window, probably salted. “This is called rumah gendang,” Dino explained and added, “named after the gendang or drum inside each house.” Hence the English name, drum house. “But it seems like he’s not home. We’re not lucky,” Dino said after taking a glimpse inside the house. 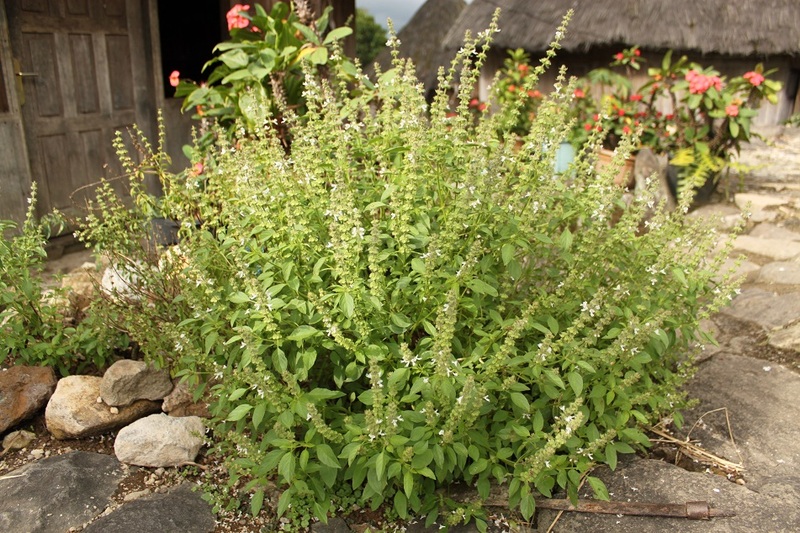 I was taking photos of a kemangi – lemon basil – shrub in front of the house before getting ready to leave the village as Dino was signaling us to do so. But he took one final glimpse into the house before leaving, and suddenly grinned. An old man wearing a brown turban studded with traditional motifs emerged from the house and greeted us. He then asked us to come in and pointed at a mat to our left side, the seating area for guests. He sat right at the center of the drum house, leaning to a large tree trunk hung with a paraphernalia of ceremonial tools. “It’s called tiang tengah,” Dino told us and explained that tiang tengah – central pillar – could be found only in village chiefs’ houses. “You can ask him anything,” Dino assured us to talk to the old man whose calm demeanor reminded me of that of a royal descent’s. Soon, a young girl came out of the kitchen and brought small glasses filled with black and fragrant liquid. 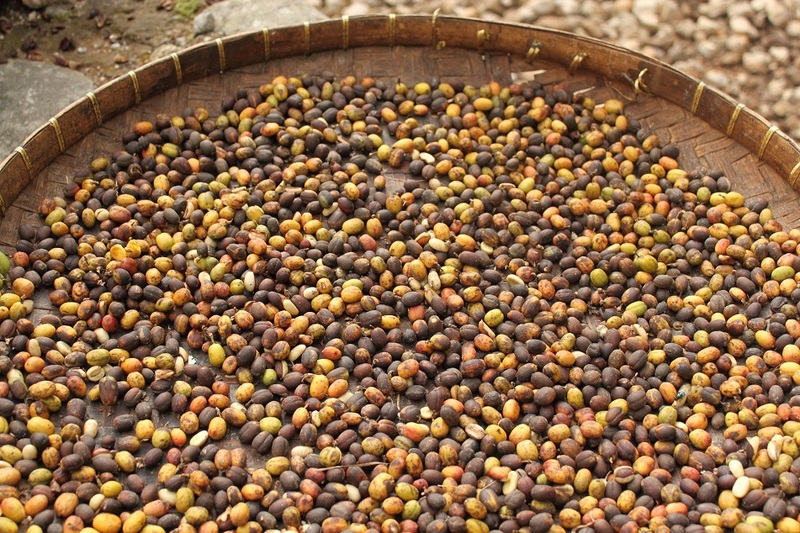 It was the fabled Florenese coffee, made from coffee beans of Manggarai, one of the most prolific regions in Flores producing anything from coffee to rice. “She’s my granddaughter,” the chief explained. Slightly intimidated by the well-mannered leader of the village I started asking questions, ranging from the history of Ruteng Pu’u to the unique features of rumah gendang to more personal questions about his family. It was the photographs of modern young people and an Australian flag hung on the wall behind us that gave me the urge to do the latter. Wearing a fading black suit embellished with colorful patterns, he responded to my questions in a soft-spoken Bahasa Indonesia. His reddened teeth and gum were exposed as he spoke, a hint of his penchant for chewing betel nut and leaves, a favorite pastime activity shared by many people on the island. “You know, it was no coincidence that our ancestors chose this location to build a village. One morning they found stone walls encircling this plot of land. No human could have done that, hence they thought this place was special,” he started his story about the village while asking us to drink the coffee. One sip of the coffee was all it took to make me, a devoted tea person, to fall in love with Florenese coffee for its smooth and strong flavor, sweetened with just the right amount of sugar, and a clean fresh end. I was distracted for a while from the old man. Mounted on tiang tengah, just above the chief’s head, were items used for traditional rituals and ceremonies, including a medium-sized drum, a gong, a chicken wing with its feather still attached to the dried carcass, a gourd for holding tuak, and deer antlers. As the old man continued describing the rituals and traditional ceremonies they hold from time to time, it was obvious how, like in other parts of the island, many Florenese practiced Catholicism with a hefty dose of animism. Yet, the chief’s house was laden with white painted crosses and images of the Virgin Mary. When he came to the explanation about their agricultural system, he pointed up to the rafters. I followed his finger and saw a pattern created by the manner the rafters were put together: small to big rings of wooden beams supporting the alang-alang roof. 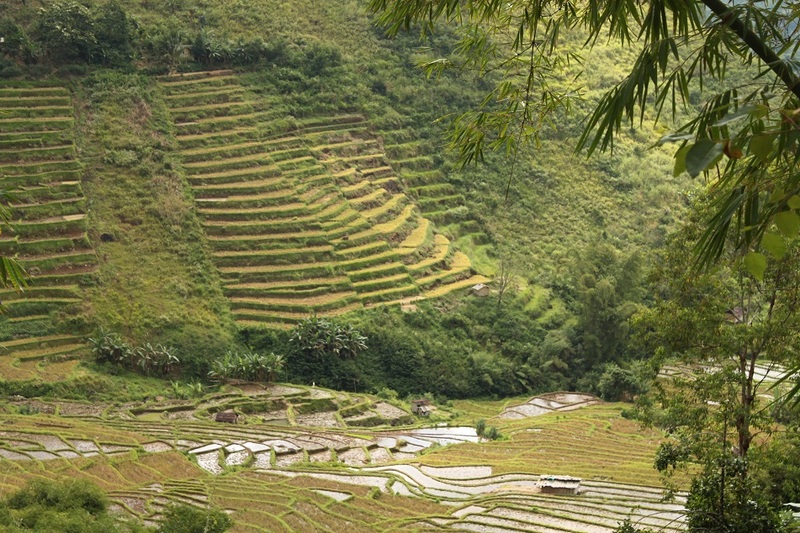 “That’s how we divide our rice fields,” the chief said. 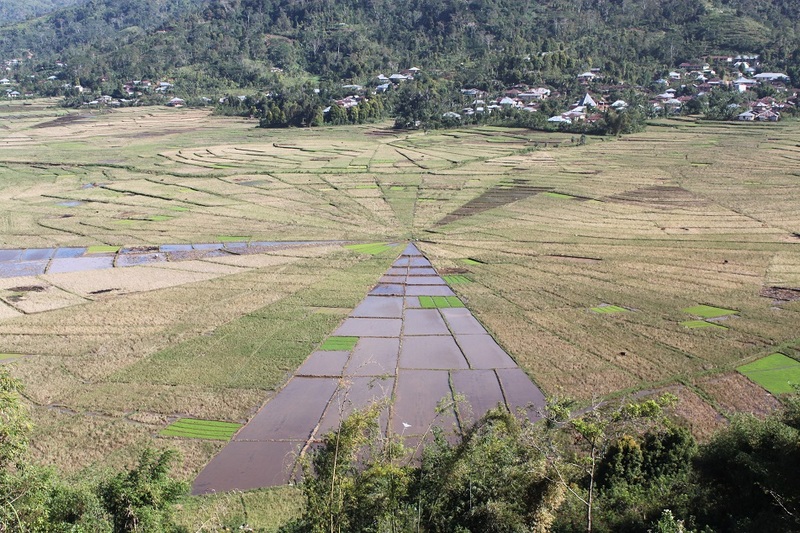 Manggarai people have a unique way of dividing rice fields among family members for cultivation. The following day Dino took us to the village of Cancar where spans of spider web fields were spread out on a vast plain surrounded by verdant hills. A spider web field is called lingko, while the plots of land inside a lingko is called randang or lodhok. 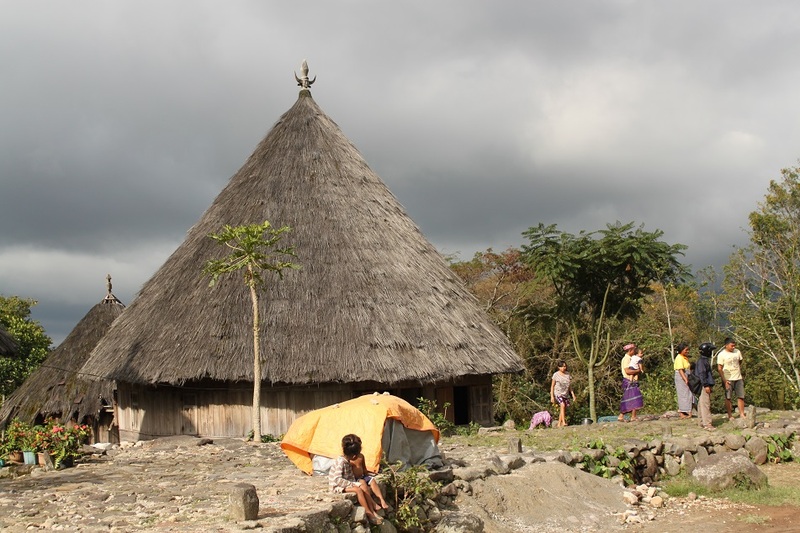 Rituals are always performed at the center of lingko, the only piece of land inside a lingko belonging to the entire family group or clan instead of to just one family. The more members a clan has, the more lodhok their lingko has. A strong communal spirit is shown in this unique agricultural system as lodhoks are cultivated in different times throughout the year with plants varying from normal rice, red rice, brown rice, and even vegetables. In addition to selling the produce at the market, they also exchange what they harvest with what others do over an agreed quantity without having to spend money at all. The oldest means of trade is still practiced in this part of the world. 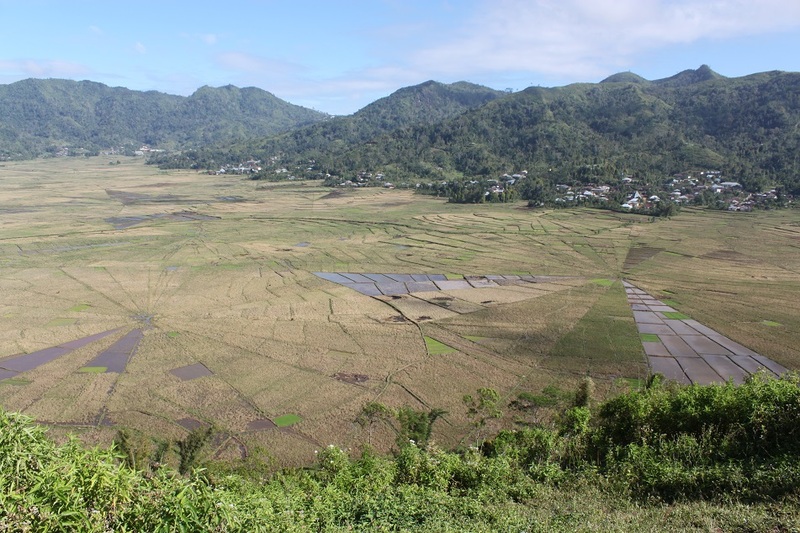 However Manggarai is not only known for its unique spider web fields, but less known to outsiders the region has rice terraces more magnificent and expansive than the ones in Bali. The rolling hills of Kilolima were carved right from the top down to the bottom to create a picturesque view of undulating, endless natural staircases. All were made out of necessity to provide subsistence for the locals. Necessity was also the main drive for the chief’s children to leave his secluded drumhouse and find their ways to cities in Java, including Jakarta and Malang. His words spoke for the spirit of Manggarai people, adamant to preserve their old traditions despite the introduction of Catholicism and modernity. On the fertile soils of Manggarai they were born, to the same land they will rest eternally one day. WOW ,it looks like drawn map .What a wonderful place ! It was not like anything I’d ever seen before. This part of the island was really wonderful, indeed. Great words and pics, as usual. I am writing a post on the best old-style dwellings in Asia, and those Drum Houses look like good material. Do you know any more about them? Are they just local to Flores? Thank you, Lee. 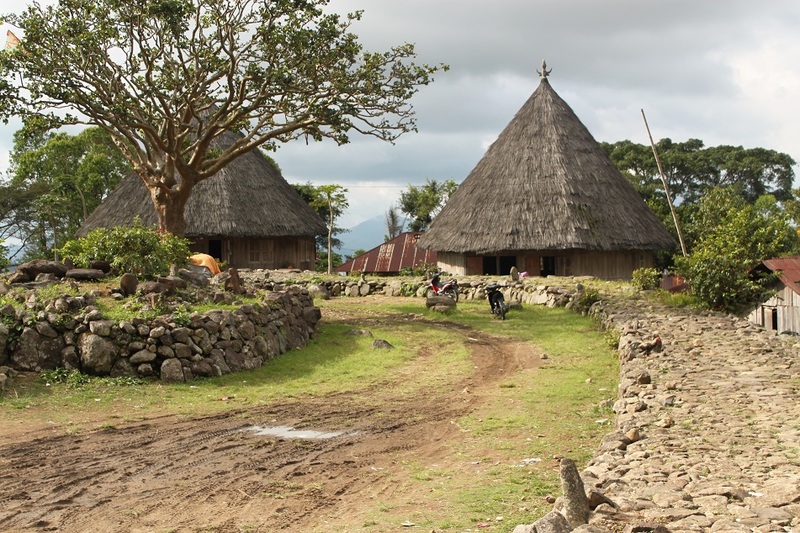 As far as I know those drum houses can only be found in the western part of Flores. The one that I went inside had one big communal area and three or four rooms. One room was used as a granary. But maybe that was because all of the chief’s children had moved away from the house, so he could use some spare rooms. The fields in your picture are amazing! They look like some kind of geometric design. I bet whoever made them had fun designing them?! Impressionnant landscapes with the circles geometrics! Beautiful shoots! It was truly one of a kind. While other places build bigger and more expansive rice terraces, some people in Manggarai opt for something very unique. Merci beaucoup! Wonderfully told, Bama. You wove a beautiful narrative and I especially like how you tied it all together. 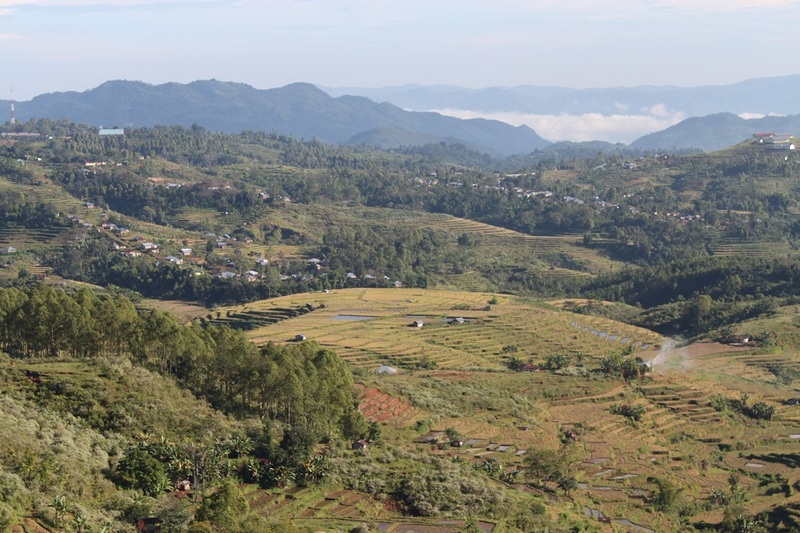 I too was a bit nervous at the chief’s house in Ruteng Pu’u – firstly I didn’t want to commit a faux pas, and secondly I only understood 50% (at best) of the language. 🙂 This time your photos are almost identical to mine, save the one of the kemangi! Really is a beautiful place…..and thanks for all the descriptions…..Good read man ! I really enjoyed Manggarai for its cool weather as well. And in addition to that it certainly has some of the most breathtaking vistas on the island. The geometry of the fields is amazing. Wonderful captures of the patterns! We had to go to a nearby hill to see the giant spider web on a full scale. Really amazing it was. Thanks Sue! 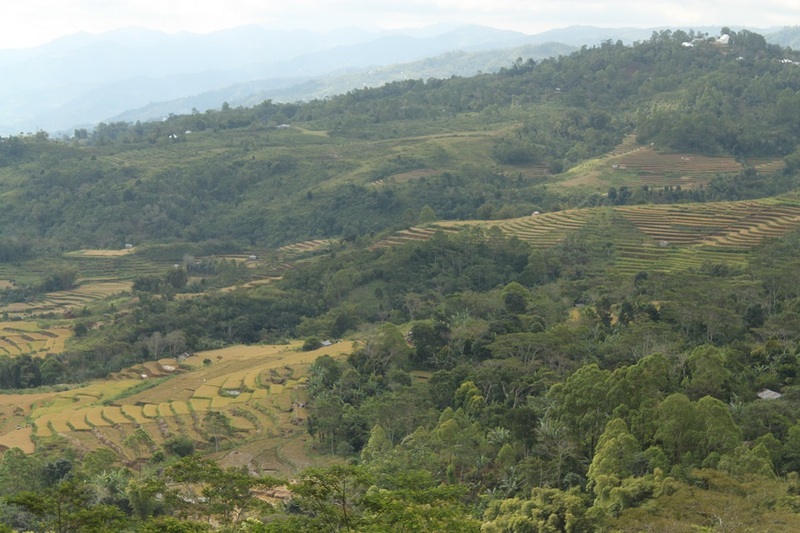 Majestic is another word to describe the rice terraces of Manggarai. Those fields are really cool. Great story as usual. Thank you for sharing! 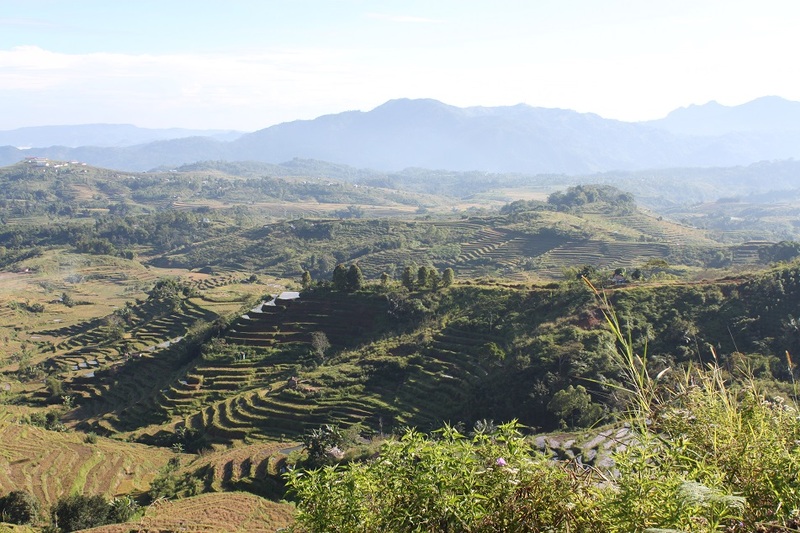 By far, of all the places that I’ve been to, Manggarai has the most beautiful and unique rice terraces in Indonesia. Thanks Jeff! Grazie Linda! I’m glad you enjoyed this post. I love the look of the terraces and the drum houses. I’ve never seen anything like it before. Hi Jonathan. For me looking at the rice terraces gave this sense of tranquility, and at the other side of the island I saw a family sitting on a street side, watching the majestic rice terraces before them. As for the drum houses it was also my first time visiting such traditional house. Such an incredible place ~ great descriptions and photos, especially liked the stormy clouds (and the coffee beans!). Cheers. It really was. It was supposed to be dry season when I went, but the weather was more on the unpredictable side on the trip. So I was quite lucky to have a little bit of sunlight when I visited the village. Thanks, Randall! Hi Bama, there’s so many things that I found amazing here. First of all, I had to convince myself that that village with drum houses is actually real and not a theme park! And those spider web fields are so breathtaking I just kept staring at them. But most of all, I’m fascinated that at this day and age, there’s still a place where barter trade in its truest form still exists!!! And oh, the coffee…..
Bama, thanks for virtually taking me to this beautiful place that ignores the dictate of time. And thank you for dropping by again! 🙂 Have you been there? If you haven’t, you really need to plan a trip there. My pleasure, Madhu. This is to show to people that Indonesia is really not only Bali. Different islands have different cultures, even though they are only separated by narrow straits. As for the spider web rice paddies, I had never seen anything quite like that before. It’s a must should you come to this part of Indonesia one day, Madhu. 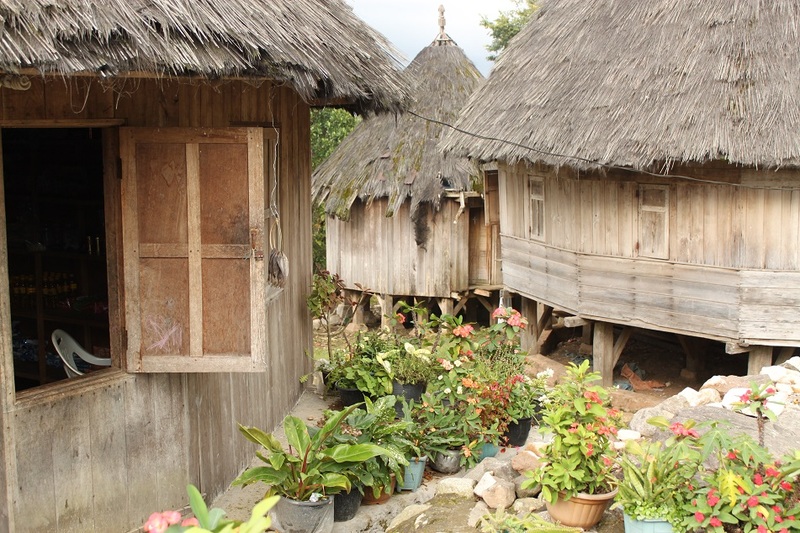 In Flores, you’ll find traditional villages where people still practice a syncretism of Catholicism and animist beliefs, yet they embrace modernity…to some extent. I have started studying up on Flores for a trip in the next year or two but I have never heard of the spider web fields. That is really cool. Another place to go when I visit. I really recommend this place as it is probably the only place in the country where you can find such rice fields. Have fun researching about Flores! and if possible, visit the eastern part of the island as well. That’s one part of Flores I have never been to and would love to visit one day.